Huzzah! for Don Caughey (Crossed Sabers) who’s put together a great series of posts (1, 2, 3, 4, 5) on the Union Cavalry expedition out of the trap that was Harpers Ferry on the night of 14 – 15 September 1862. He’s done a really nice job in illuminating a poorly understood episode in the Maryland Campaign. As a kind of supplement to those posts, I’ve scanned some pictures of the prominent officers of that force. You know I like to see the faces. 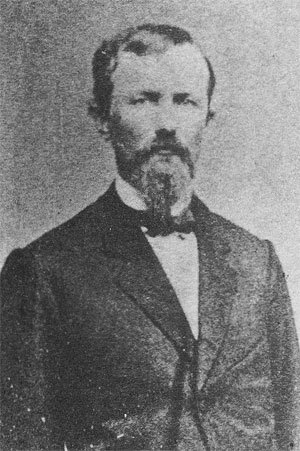 Colonel Davis, of the 8th New York Cavalry is perhaps the best known of the players in the drama. From Mississippi, it was his deep-South voice in the dark that reportedly convinced Longstreet’s teamsters of his authority that night. A West Point graduate (1854), by mid-1861 he was a Captain in the 1st US Dragoons. 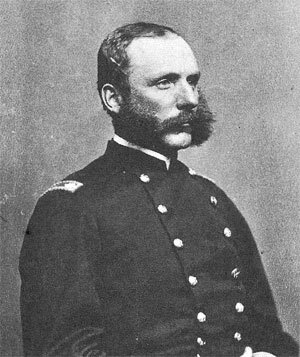 He was appointed Colonel of the 8th New York Cavalry in July 1862. 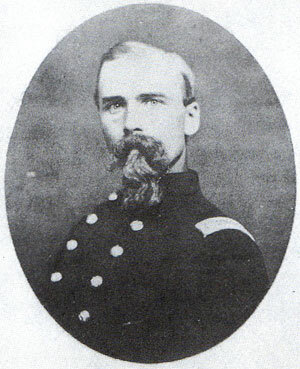 Lieutenant Colonel Hasbrouck Davis led the 12th Illinois Cavalry for the bulk of their service in the summer of 1862. A Chicago lawyer, he had been born and raised in Massachusetts, where his father John was Governor and US Senator. After graduating from Williams College in 1845 he taught school and was a pastor before moving to Chicago around 1855. With Colonel Arno Voss he had helped raise the horse companies around which the Regiment was built in the Spring of 1862. Captain Means may have been the one cavalry officer at Harpers Ferry with the most reason to depart before capture by the Confederates. 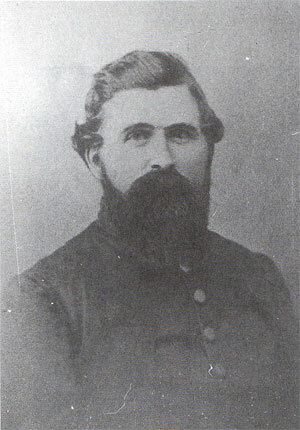 After suffering as a Unionist in Northern Virginia in 1861, he recruited and organized the Loudoun Rangers who fought as irregular cavalry through the early part of 1862 along the Potomac. Reportedly, the Confederate Government had placed a price on his head, and he may have feared he would not be treated as a prisoner of war if captured. Frederick, Maryland native Major Henry A. Cole was in command of the 4-Company battalion officially the 1st Maryland Potomac Home Brigade Cavalry–better known as “Cole’s Cavalry”–at Harpers Ferry. He had been first commissioned Captain, Company A, in August 1861. 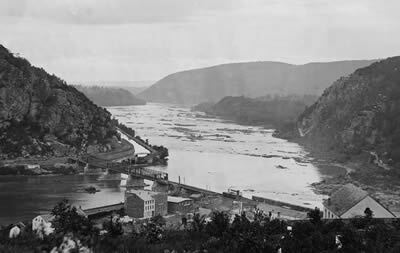 He was made Major in July 1862 when Companies A, B, C, and D first began operating together along the upper Potomac. 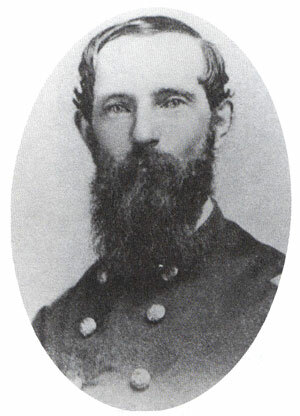 Originally from Maine, with pre-war militia Dragoon experience, Major Augustus W. Corliss was a Lieutenant in the 1st Massachusetts Cavalry in 1861 and served on the North Carolina Expedition. In early 1862 he helped form a new mounted unit designated the 7th Squadron Rhode Island Cavalry. Along with 2 companies of New Englanders from Providence and colleges like Dartmouth, Bowdoin, Norwich, and Amherst, his command included two–Companies H and I–detached from the 1st Maryland (formerly 1st Virginia, Union) Cavalry. Here’s a section from a period map overlaid with the approximate route of the Federal Cavalry in yellow. The dashed part north of Sharpsburg shows the off-road portion of the trip. Red and blue blocks represent Confederate and Union troops, respectively. In addition to large bodies of infantry, the entire sector was crawling with cavalry patrols and pickets of both sides. The total distance by field and road is about 36 miles from Harpers Ferry to Greencastle. The Ferry to Sharpsburg is about 12 of that. 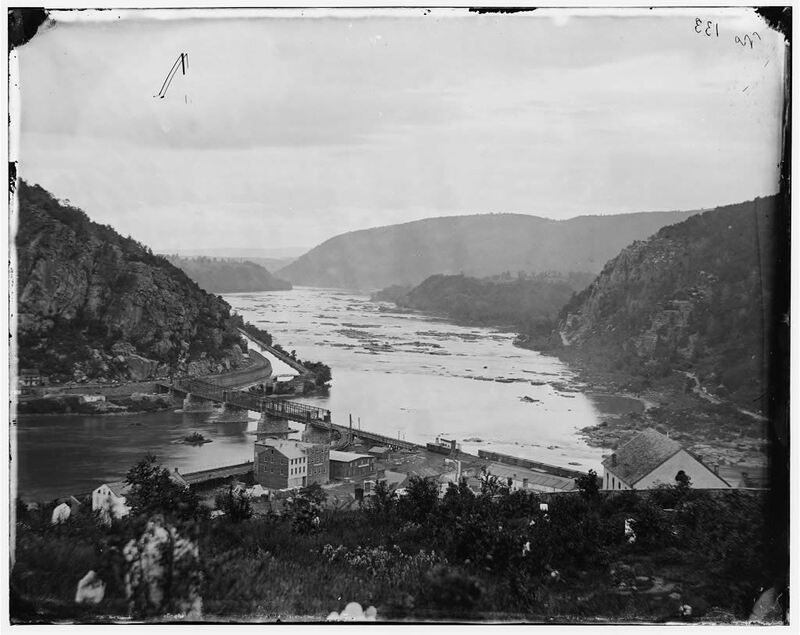 The photograph at the top of the post is a view of the Potomac from Harpers Ferry, Maryland Heights on the left, Loudoun Heights, right. It was taken by James Gardner in 1865. You can see the repaired railroad bridge where in September 1862 there was only the pontoon bridge. The original photo is in the collection of the Library of Congress, Reproduction number LC-DIG-cwpb-03871, and it is also online. The pictures of the five cavalrymen above were scanned from Allan L. Tischler’s History of the Harpers Ferry Cavalry Expedition, September 14 & 15, 1862 (Winchester: Five Cedars Press, 1993). The originals were sourced as follows. BF Davis: US Army Military History Institutre (USAMHI), Philadelphia MOLLUS Collection; H. Davis: USAMHI, Massachusetts MOLLUS; AW Corliss: Christopher Nelson, Annandale, Virginia; S Means: John Divine, Leesburg, Virginia; HA Cole: USAMHI. The Cavalry’s route to Greencastle is superimposed on an 1863 publication I also used for the AotW campaign maps, and is based on Don’s research and ‘stomping’ described in the 4th of his series of posts. If you’d rather see it on a modern road map, try my GoogleMaps version. Pretty cool. Lear jet maybe? Commercial puddle-jumper? Anyone? Looks like it might be on a course from Dulles to Hagerstown or points north. I recently ordered Tischler’s THE HISTORY OF THE HARPERS FERRY CAVALRY EXPEDITION from Abebooks ($25). Too bad I didn’t wait for your review! Thx for the map and pictures; they add much to understanding this event. The article is excellent. Hi Brian, Just wanted to pass along that Co. B of Cole’s Bttn. was not with the rest of the battalion during the exodus from HF. Co. B did not physically join the battalion until the spring of 1863. Thanks Robert – I know you’re deep in this research. Looking forward to the output!